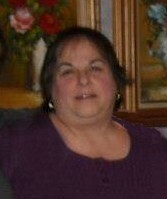 Marilyn E. (Lotfy) Wentworth, a life-long resident of West Roxbury, passed away suddenly and unexpectedly on February 5, 2019. She was 66 years old. Marilyn was the dear and devoted wife of Alton Wentworth. Loving mother of Matthew and Jennifer Wentworth, both of West Roxbury. Her Funeral will be from the Kfoury Keefe Funeral Home, 8 Spring St. (at the corner of Centre St.) WEST ROXBURY, Monday at 9 a.m. Marilyn's Funeral Mass will be celebrated at St. John Chrysostom Church at 10 a.m. Visiting hours Sunday 3-6 p.m. Relatives and friends are respectfully invited to attend. In lieu of flowers, contributions in Marilyn’s memory may be made to St. Jude Children’s Research Hospital, 501 St. Jude Place, Memphis, TN 38105, or to Rosie’s Place, 889 Harrison Ave. Boston, MA 02118.